The Calendar measures 12x18 and is formatted with the binding on the top so there are no distracting seams or spirals in the center of the page. Printed on 130# acid-free Premium paper to give a luxurious feel and soft texture finish. Each of the landscape images measures 11½ x 8½ and include the location of the photo in a caption underneath. 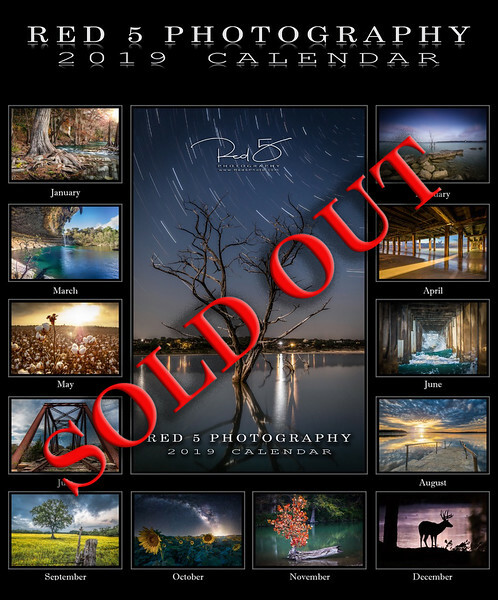 The first run of the calendar has sold out but a 2nd run order has been placed with the printer and you may pre-order the 2019 Red 5 Photography Landscape Calendar by clicking the Buy Now option above. Once the calendar shipment has arrived from the printer, the orders will be processed and you will receive a notification that your calendar has shipped. Estimated arrival from the printer in mid-October. If you are in the New Braunfels area, arrangements can be made for the calendar to be picked up. I normally travel to North San Antonio and South Austin for work and would be happy to meet up. If you are interested in ordering more than one Calendar, please contact me by clicking HERE for details. 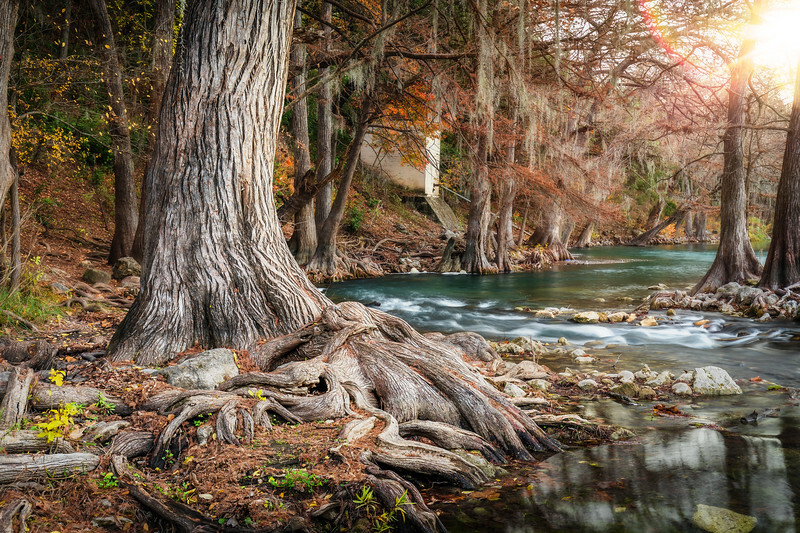 The Guadalupe River in Gruene, Texas..